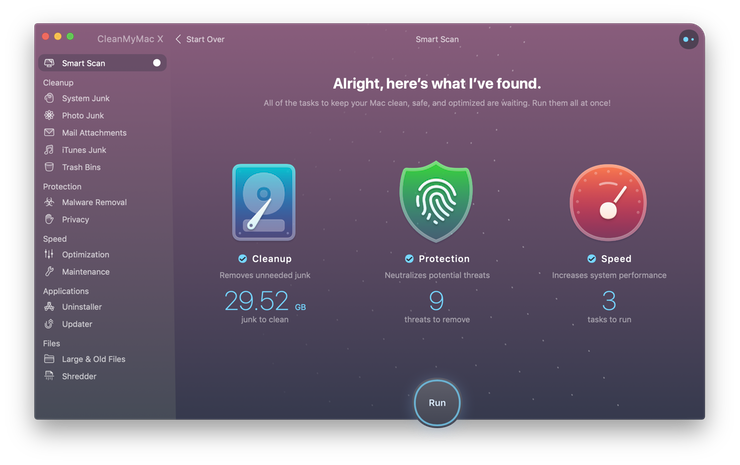 Mac's Safe Mode minimizes the applications you have available on your Mac to help identify where any issues might be coming from. Starting up your computer and making it run in Safe Mode is also known as a safe boot (safe boot is how your Mac starts, Safe Mode is how it runs). Booting in Safe Mode doesn’t just restrict your applications: A safe boot also checks through your startup drive to make sure there are no problems there. A fault in your system (like corrupted boot sector) might be preventing you from using your Mac at all. By booting in Safe Mode, your Mac can work with macOS core processes to get back into the system and identify problems, such as floating extensions or rogue applications, that you can then remove. Disabling all fonts that are not supplied by Apple and moving all font caches to the Trash. Once your Mac is running in Safe Mode, some applications will no longer be available. If your Mac is working fine in Safe Mode, then it’s likely that one of the restricted applications is responsible for the issues. You can manage the list of startup applications manually, removing the potential buggy apps one at a time to see if it affects the performance. There is still a problem though. Manually deleting problem applications still leaves their traces deep in the system, so it’s best to use a dedicated Mac cleanup software like CleanMyMac X to double check your Mac is clear of any problematic files. If your Mac continues to run into difficulties even in Safe Mode, you may need to use Mac’s native recovery tool, Disk Utility. To diagnose your Mac more precisely, we recommend performing a full scan with some dedicated Mac cleaning app. As described above, CleanMyMac is our favorite (you can download this app here for free). This app made by the guys from MacPaw sports a handy Dashboard, with hardware health monitors among others, which should give you a clue as to what’s wrong with your system. To restart your Mac in Safe Mode, begin with your Mac switched off or restart it. 1) As soon as your Mac switches on and lights up, press and hold the Shift key. 2) Release the Shift key as soon as the login window appears. That’s it, your Mac has now been booted in safe mode. Note that it may take longer than usual to boot your computer: This is because there are several checks being performed before it’s ready to use. If you don’t trust your Mac to turn off and on again without further complications, or for some other reason you would prefer not to safe boot from the startup screen, there is an alternative using the Terminal application. 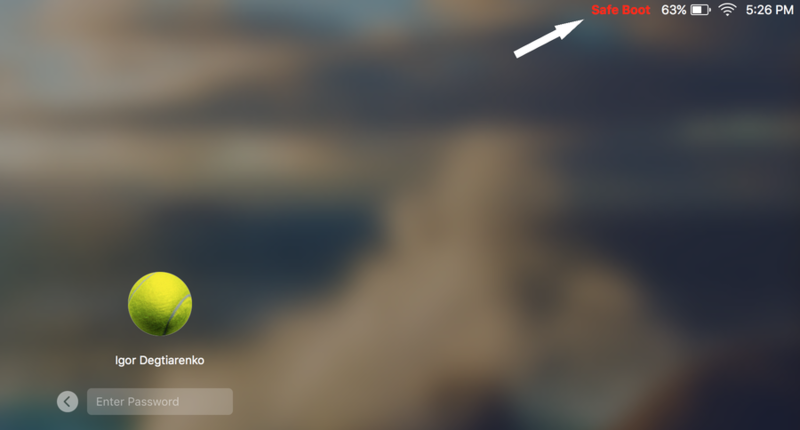 1) Locate Terminal: Applications > Utilities > Terminal. 3) You will be asked to enter your password to authorize. 4) Your Mac will now reboot in safe mode. You will not have to hold the Shift key when the computer restarts, simply log in when prompted. If you’re not sure whether your safe boot was successful, there are a couple of ways you can check. The boot mode will be listed as ‘Safe Mode’ (instead of ‘Normal’). To find your boot mode, click on the Apple logo in the menu (top left) and select This Mac. Choose System Report, then Software, and from there you will be able to see whether you are in normal or safe mode. Your performance speed will change. 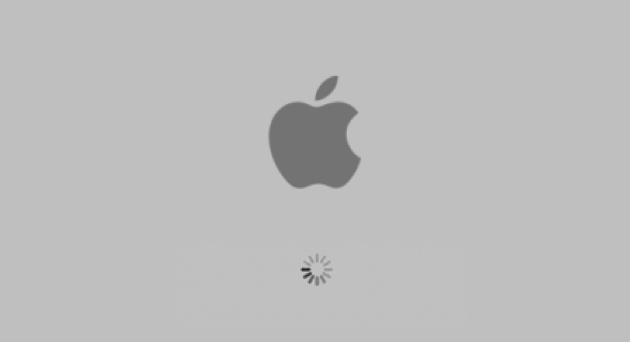 Typically macOS will run slower when it is in Safe Mode due to the reduced processes, but if you have noticed some serious lagging this may be improved by the faulty applications being restricted. Running your macOS in Safe Mode is normally used to troubleshoot glitches that you have noticed, such as lag, crashing, or spontaneous closures of applications. You should try to use your Mac as you normally do so that you can see if the issues have disappeared in Safe Mode or are still there. You will find that some features aren’t available, such as third-party fonts, the DVD player, and audio in/out devices, which may limit how productive you can be, so it’s best to identify the fault in Safe Mode, fix it, and return to normal mode to work as usual. Once you’re finished in Safe Mode, simply restart your Mac. It should then reboot as normal, hopefully with improved performance. It may take a little longer than usual to shut down from safe mode, but don’t become impatient and use the power button to force a hard shut down. If your Mac automatically enters Safe Mode itself without you pressing shift or using the Terminal, don’t panic. Your Mac may have detected an issue that it thinks needs repairing in Safe Mode. If this happens only once, then great, your Mac did its job and cleaned up the issue before it could cause any more problems. If your Mac is stuck restarting in a Safe Mode loop, try entering another startup configuration, the Recovery Mode, by pressing Command (?) + R upon startup. This will perform a Disk Utility scan to check for issues, and, if that doesn’t work and you have backed up your files, you can try a reinstalling a clean copy of macOS to start fresh. Tip: Check your keyboard is clean and that there is no debris beneath the keys. If the shift key has become stuck, your Mac will think it’s being pressed during startup to initiate a safe boot. Unfortunately, the responsibility to locate software issues still resides with the user in Safe Mode. A safe boot will check for disk problems, but if it fails to turn anything up you may be resigned to shifting through your applications list to see what might be causing the problem. Luckily, some helpful maintenance utilities can be run while in Safe Mode. CleanMyMac X is one of those so check it out. It clears through your junk before it can impact on your system, but if your macOS is starting to lag it might be time to perform a full clean-out of those unused applications. 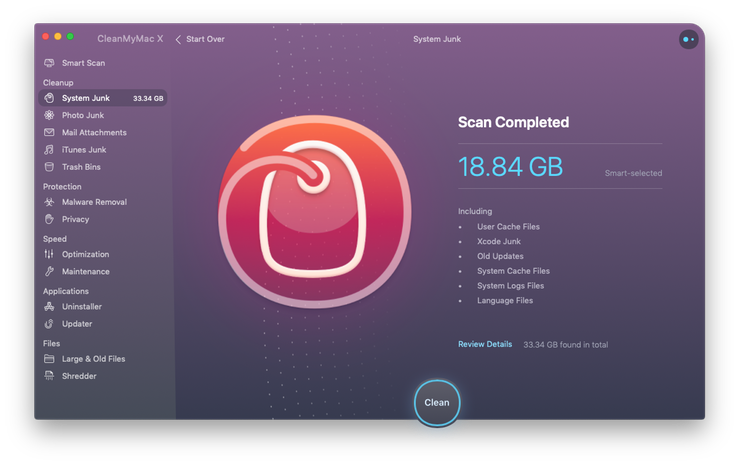 With an average of 62GB of junk cleaned from an average Mac, it's maybe just the tool you need to put your Mac back on track.